In this week's video we look at just how easy it is to lose our focus, even when we are doing things we love. When things aren't going for us, and these times will happen, it's very easy to look at everything around us before we look at ourselves. Being quick to blame, make excuses and deny there is an issue shows exactly where our focus is. 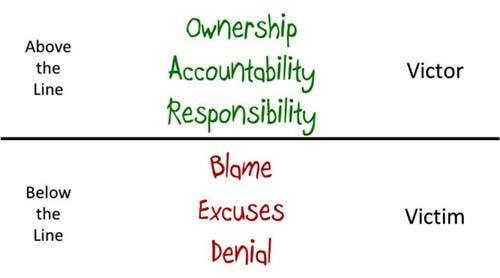 To turn that mindset around, we must take ownership, be accountable and take responsibility for our actions. Owning up to our focus not being where it should be, is the first step in making a change. The shift in focus will see more opportunities become true options and the results start to come our way. This week, recognise our first reaction when challenged... if it's to Blame, Make Excuses or Deny anything is up then it's time to change our focus.